Recover lost files on your IOS devices. Is there a better alternative to iPhone Recovery? Is iPhone Recovery really the best app in File Management category? Will iPhone Recovery work good on macOS 10.13.4? 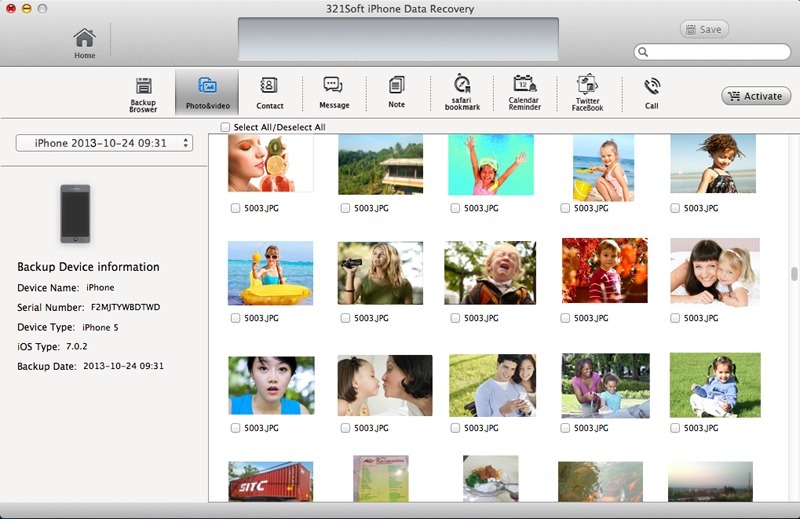 321Soft iPhone Recovery is a full-featured tool which recovers deleted and lost files from iPhone, iPad and iPod touch. No matter what kind of reason leads to the data loss, you can use it to retrieve up to 12 types of lost files from your iOS devices, such as SMS, photos, videos, contacts, call history, text, SMS messages, notes and more. It provides two recovery modes to meet different needs: Recover data from iOS device & Recover from iTunes backup files. iPhone Recovery needs a review. Be the first to review this app and get the discussion started! iPhone Recovery needs a rating. Be the first to rate this app and get the discussion started!